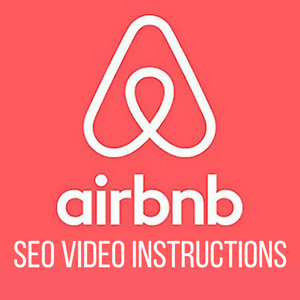 To accompany the video above, I wanted to put together a written step-by-step instructions for you to follow in finding your hidden Airbnb ranking scores. Before going on any further, I just want to give credit to Nick Child for showing me this neat hidden ranking factor. He's published an extensive study here, so be sure to have a read of it after. Without diving too deep, I just want to remind you that everything Airbnb places into their website is for a certain reason. Each extra line of code will reduce the load times of web pages and therefore lessen the user experience. The hidden ranking factors I'll be showing you are not placed in there for no reason. 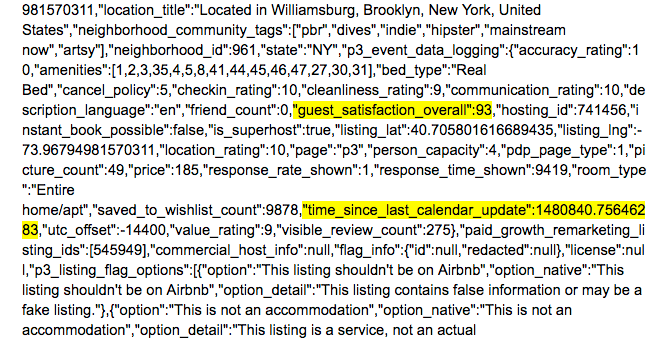 It's how Airbnb ranks your listing, without knowing you personally. 1) We aren't sure exactly how guest satisfaction is calculated. But we did notice that it isn't found anywhere on the listings page, however a specific number is dedicated to it. If I were to take a guess, it's a formulation of the following factors: Accuracy, Communication, Cleanliness, Location, Check-In, and Value. These are the factors that affect your star rating, so Guest Satisfaction could be a numerical value of that score. So then you can be more specific in how you rank against others, rather than comparing by stars. 2) Time Since Last Calendar Update is also found inside the code of your listings page and I thought this was particularly interesting because no one has mentioned testing their calendar updates as a ranking factor. The easiest way to find your listing is to go into your Host Dashboard and click the preview button. 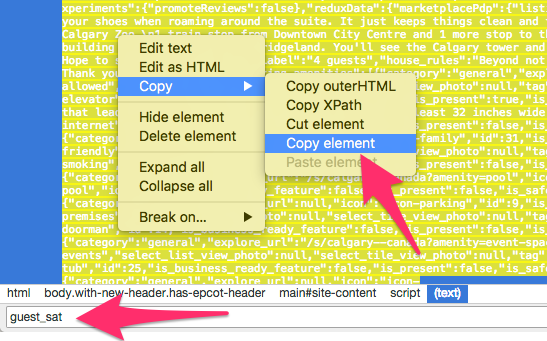 Copy and paste the URL of your 'previewed listing' and paste the URL in an incognito window. We do this in an incognito window because it's the best way of reducing any sort of personalization that Airbnb applies when you're searching around in your normal browser. Paste the link in the toolbar and then delete everything after the question mark (?). This is just a much cleaner way of getting to your root page. Scroll midway down your listings page, right-click and press inspect. 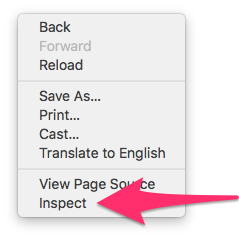 I'm using Google Chrome, but here are some directions to use inspect the source code in other browsers. Now you'll see the source code of the page open. This is a pretty neat part of the web and where you'll find your hidden ranking factors. Press "Command F" (Mac) or "Control F" (PC) and this pulls up a search function. When you start typing in text, the inspector tool will filter our results based on the letters your type. Start typing in "guest_sat" and you'll see a blurb of code that's highlighted. Blurb is a very technical term - I know. Next, right-click on the blurp and select to "copy element"
It's impossible and not a good use of your time to read the code line-by-line, so we have to transfer the copied code into a document. You can use Google Docs or Microsoft Word, it's up to you. Just know that when you paste the code into a blank document, it'll take a few seconds to paste because the code is so large. Mine came up to 109 pages. Find the "guest_sat" words again inside of the document by pressing Command F or Control F again, but this time inside of the documents. And that's it. From here, you'll find your own scores and can start comparing it to other listing. Especially those that are performing better than you. There are a whole bunch of other factors inside of the code, but I thought those two were the most interesting since they weren't found on the listings page anywhere. At least to the naked eye. So what's your guest satisfaction rating? Mine was 99 and Nicks was 100. Take a look and see if you can find any other hidden ranking factors in here. I'd love to know your results!